John Stevens is a fine artist and illustrator working in oils, acrylic or pastel from his cottage studio at Whinburgh, Norfolk, which he shares with a hairy golden retriever called 'Josh'. After serving with Shell as a marine engineer, he joined the Royal Air Force in 1971, leaving to set up an IT Business consultancy in 1998. 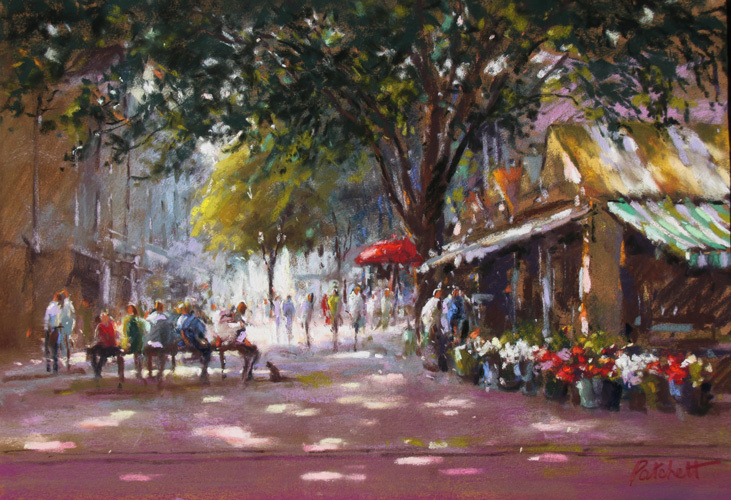 A professional artist throught that period, John specializes in aviation, marine, figurative art and portraiture; he has exhibited with the Guild of Aviation Artists at the Mall Galleries London, and in several Norwich Galleries, Norwich Cathedral , The Forum and Playhouse Theatre. He has taught in local school, demonstrated to local art groups, and is an artist member of the Norfolk and Norwich Arts Circle. As well as book illustration, John has supported charities, with originals and limited edition prints, including the RAF Benevolent Fund, RNLI, church and local village charities.